Remodeling and Renovating Your Home? 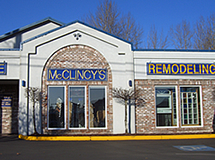 You can rest assured when your remodeling project is handled by McClincy's – family-owned and operated since 1976. 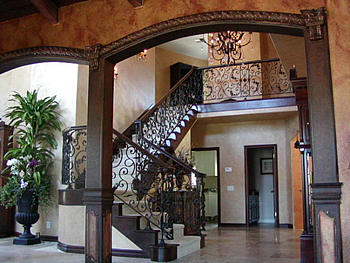 McClincy's offers an array of remodeling services, varying in size and scope. When you call McClincy's, you'll connect with talented design-build professionals with decades of experience in every aspect of remodeling and renovation. McClincy's, a general contracting company has expertise in interior design, remodeling and restoration; we specialize in kitchen and bath home remodeling and have direct connections with many different manufacturers of flooring, cabinets, countertops, plumbing fixtures and more! We have assembled dedicated professional project managers with extensive knowledge in design and construction standards who are able to assist you from the conception, execution and completion of your home improvement project. McClincy's is your consumer advocate when it comes to property loss and navigating through the insurance claims process to restore your home or business back to its pre-loss condition. In order to be your advocate, McClincy's made the decision not to be on on any insurance company's "preferred" list of contractors. That way, we have no ties or obligation to the insurance companies. 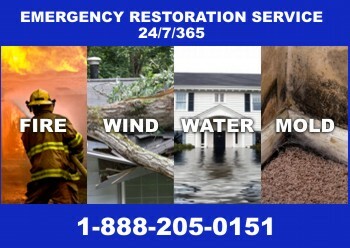 We work for you and have your best interest in mind when arriving at a "fair and reasonable" scope of repairs. You can trust McClincy's – our certifications and trade memberships keep us on the cutting edge of industry best practices. 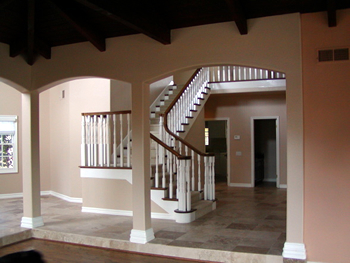 When you are ready to begin planning your remodeling project, call on our team of dedicated professionals. From concept to permitting to execution, we're the only firm you need. Visit our conveniently-located Seattle-area showroom in Renton Highlands – to examine and select the styles, materials, and finishes for your project. We serve the Puget Sound area covering King, Pierce, and Snohomish counties and the following cities: Auburn, Bellevue, Bothell, Burien, Covington, Des Moines, Federal Way, Issaquah, Kent, Kirkland, Lynnwood, Maple Valley, Mercer Island, Mukilteo, Puyallup, Redmond, Renton, Seattle, Snohomish, Tacoma, Tukwila, Woodinville, and more.